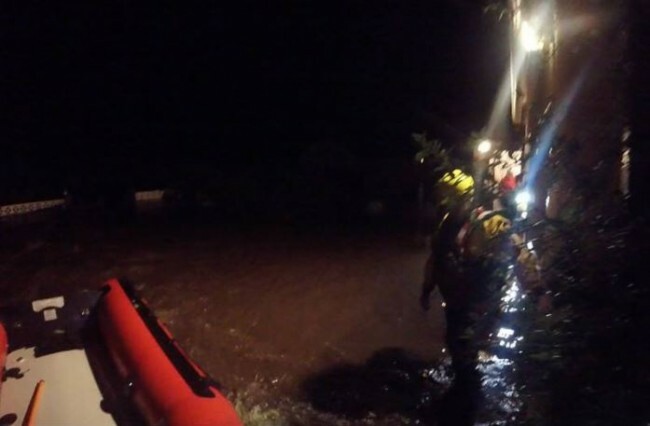 At 23:45 on Tuesday night (just after the crew had finished their weekly training) HM Coastguard tasked LNR to various flood and swiftwater related incidents in the North West of N. Ireland. LNR deployed teams from all three stations, this included flood first responders, swift water rescue technicians and shore crew to the area. LNR worked with NIFRS, NIAS & HART personnel throughout the night and early morning until the teams were stood down. Our thoughts are with all those effected by the flash flooding.